The Ghana Immigration Service said that foreign nationals from the African Union member states can now travel to Ghana and be issued with visas on arrival. Francis Palmdeti, Head of Public Affairs of the GIS, said on Monday in a statement that Ghana kick-starts the new visa policy. He said the arrangement would be piloted at the Kotoka International Airport in Accra for three months, and thereafter extended to all other entry points of the country. “All AU nationals affected by this policy who arrive in the country must have a passport, valid for at least three months, from the date of entry; they must have a return ticket or evidence of onward travel. “Travellers must show evidence of sufficient funds and proof of accommodation before they are granted visas,” he said. Palmdeti said that the visa-on-arrival decision by the Ghanaian government was in fulfilment of a resolution adopted at the AU Executive Council meeting held earlier this year in Addis Ababa. He said that the resolution stipulates that AU Member States should review their internal and external security realities in an attempt to implement mechanisms allowing for the issuing of visas on arrival for citizens of member states, with the possibility of a 30-day stay. 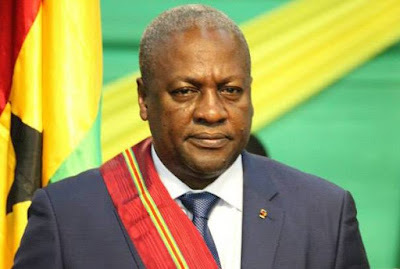 Palmdeti said Ghana became the first AU member state to adopt such a policy and has received commendation from the AU Commission for the bold step.